Desertfest, London's premier weekend for fans of music of a heavier disposition, will return once again next year and today the festival has confirmed a headline set from OM. 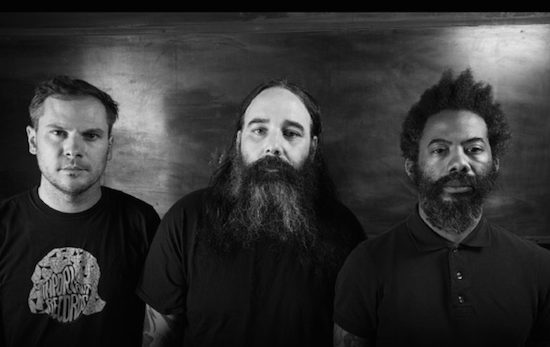 OM's headline appearance sees frontman Al Cisneros return to Desertfest for the first time since he played with Sleep in 2017. They join the previously announced All Them Witches as headliners at next year's event. Also newly confirmed today are Wovenhand, Stoned Jesus, Mondo Generator, Naxatras, Wiegedood, The Devil and the Almighty Blues, Sabbath Assembly, Jaye Jayle and more. Next year's Desertfest will mark the eighth edition of the Camden festival, and will run from May 3-5. For more information, and to get tickets, click here.